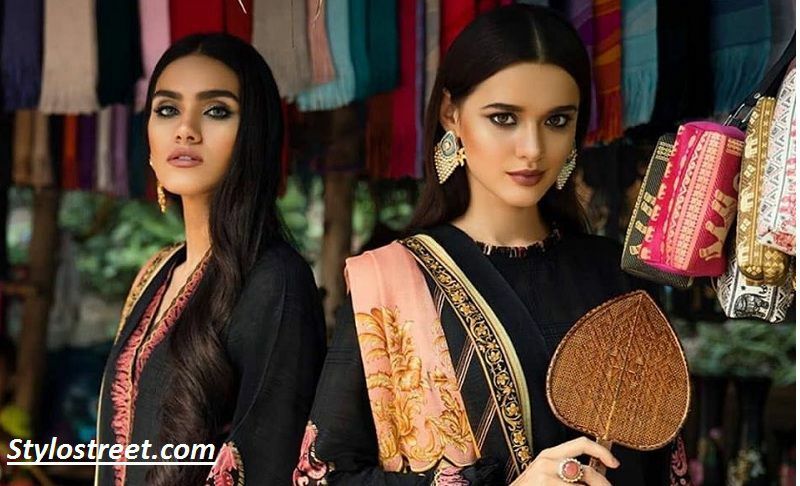 Latest Elan Winter Collection 2019 for young beautiful Pakistan girls. As we know that the leading fashion name “ELAN” recently introduced his latest winter collection. This winter collection is containing more than 15 amazing designs. These dresses were given you prominent look in this winter collection for women. In addition, this Latest Elan Winter Collection 2019 is containing the best winter clothing for trendy women. This year Elan brings good news for their customers to announce his latest winter collection at an affordable price. Furthermore, these dresses are containing jacquards and cozy khaddar fabrics with pure silk dupattas. This winter collection is also available on season markets and online shops. So, this winter enjoy your happiness with leading fashion Brand Elan. Here we are sharing the best brands winter collection for Pakistan women. Containing amazing pattern and western look styles, furthermore, elan always provide unique touch and styles for their customers. Here is the first look of Latest Elan Winter Collection 2019 for women. Launched on 1 December 2018 online stores. All the winter dresses by Elan are specially designed by the famous designers. Therefore, this brand getting more popularity among the trendy women’s, this brand always provides unique and beautiful dresses. As we can see that this collection is accompanied by our plush silk dupattas that is beautifully adorned in scrolling floral patterns in shades of pinky corals and accents of the navy.